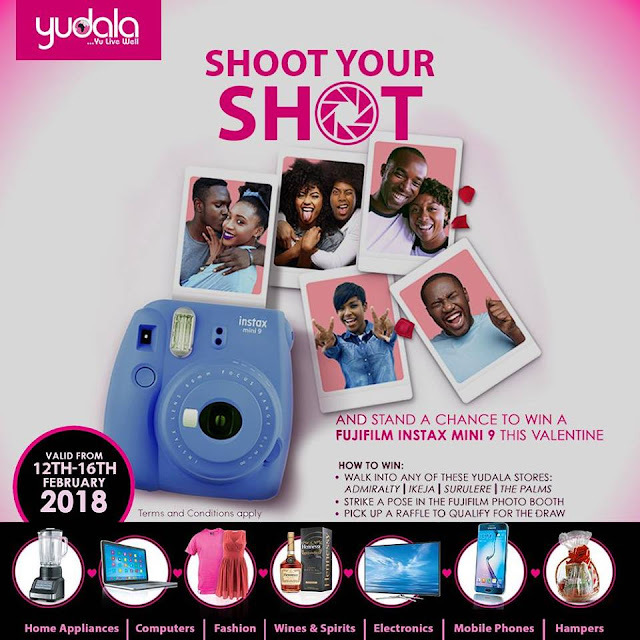 There's love in sharing selfies, and more exciting when it comes with giveaways. Walk into any of these 4 Yudala stores (at Admiralty, Surulere, Ikeja or The Palms). Win a free Instax Mini 9.